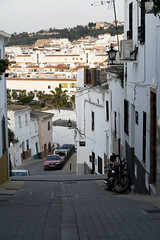 Alhaurin el Grande is a village town in Guadalhorce Valley found on the northern slope of Sierra de Mijas. With a typical rural landscape – it is surrounded by various fruit trees, corn fields, olive groves and gardens, it is a perfect place to escape the busy coast yet neither is it too remote. Alhaurin el Grande has a population of approximately 25,000 and is situated a bit more inland compared to its sister town Alhaurin de la Torre. These two are at least 15 kilometers apart. It’s only 30 minutes to the coast which makes it ideally placed for nearby beaches. It’s appeal as a traditional village away from the large tourist resorts on the Costa del Sol means it has a thriving expat population and makes it a good potential choice if you want to move to Spain. Alhaurin el Grande is rich in history and dates back to as early as Phoenician times and has also played an important role in the eras of the Romans, Greeks, Visigoths and Arabs. Are you an expat in Alhaurin el Grande? What do you like/dislike about it? Let us know in the comments box at the bottom of the page. What is the nearest airport to Alhaurin el Grande? The nearest airport to Alhaurin el Grande is the Malaga airport which is merely half an hour away. This airport has domestic and international flights from Malaga and is only 26 kilometers from the center of Alhaurin el Grande. The Gibraltar International Airport is another major airport at 109 kilometers away from Alhaurin el Grande. You can easily reach Alhaurin el Grande by car on the fabulous A404 direct road into el Grande. This road is linked to the main coast road E15/A7 so getting here from the airport is even easier. The A404 serves Churriana, de la Torre, el Grande and Coin. Or you can also use the old road N-340 and the road leading to Coin past the airport. Another route is through the A-367 and the exit that goes to Cartama. Once you are in Cartama, take the Mirabuen road (MA-425) which will lead you to Alhaurin el Grande. There are no train lines available to Alhaurin el Grande. There is no direct bus to Alhaurin el Grande. A taxi should be no more than 40 euros. Geographical coordinates are at 36˚ 38’ 0” North, 4˚ 41’ 0” West. What are the major sights and interesting things to do? With a surface area of 72.6 square kilometers and a population of more than 24,000, Alhaurin el Grande boasts breathtaking natural areas that are covered with wild olive trees, holm oaks, oak trees and pine trees. Likewise, these areas are also the natural habitats of a wide array of animal species that include wild cats, golden eagles, foxes and mountain goats among others. Visitors also marvel at the town’s environmental resources such as the abundant water springs made possible by the municipality’s aquifer. If you’re the adventurous type, one great way to explore the area is through the Fuente del Acebuche Route which is found across the Sierra de Mijas. You can either go on foot, ride a bike or go on horseback. The town also has an impressive agricultural heritage which you can appreciate deeper by visiting its Agricultural Museum. Here, you can find a wide collection of farming and husbandry tools that date back to 1870. The main sights are the Church of Nuestra Señora de la Encarnacion and the two shrines, Santa Vera Cruz and San Sebastian, which are both associated with the town’s observance of Holy Week. Other notable places of interest include the ruins of the Fahala Fort, the Hurique Watchtower, the Arco del Cobertizo, the Moorish Cork Mill, the Gate of San Rafael, the Shrines of San Anton and Cristo de la Agonia, the Lucena or Twelve-Spot Fountain and the Molino de la Paca (Paca’s Mill) where you can witness the town’s traditional trade of olive oil making. If you like jazz, you can enjoy the town’s “El Porton Jazz Festival,” an internationally-recognized celebration of everything jazz that occurs in August of every year. Where to stay in Alhaurin el Grande? Choosing Alhaurin el Grande as your next holiday getaway should be easy as you can take advantage of the town’s various accommodation options that can fit any traveler’s budget needs. These include hotels, rental apartments, B&B’s and country inns. For a convenient stay, you can choose from the following hotels in or near the area: Hotel El Mirador, B&B Cortijo Andaluz, Eurostars Mijas, Villas del Alba and Hostel El Escudo de Mijas. Apartments are also available on a short let basis at the Apartamentos Casa Sardinia. Villas with swimming pools can be rented by the week and most of these self catering accommodations which are ideal for families with children are located on urbanisations a few minutes away from the town centre. The Urbanization La Paca and Urbanization La Chichara lie to the east of the town and are ideal for a quiet summer vacation. With the town’s thriving expat community, it’s no wonder why you can find a number of friendly Brit bars and sports clubs that create a reverberating appeal on the streets of Alhaurin el Grande. As Spaniards are also known for their love of eating and their habit of eating late, you can simply spend the night sitting back enjoying the sounds of conversation and people-watching. We recommend the following bars that are popular in the area. Kanadian (El Camino de Malaga 114, Alhaurin el Grande) – An in-bar that you can easily find on the left hand side if you enter Alhaurin el Grande coming from Malaga, Kanadian is an “imitation” of a typical bar or café in Canada that has a lovely rustic appeal. The place is even busier during the weekends when people would normally go to enjoy its highly popular stand-up comedy acts and live music such as rock, pop and Spanish music. Juan Sanchez (Calle Fuengirola, 29120, Alhaurin el Grande) – This bar is highly recommended for its accommodating staff, tasty tapas and impressive menu. Some of the must-tries include the chorizo, seafood, chicken stew, salads and the house wine. It is best to go at around 8pm in order to get a table. However, the place can be extremely crowded over the weekend particularly if you go after 10pm. Most people spending the evening out in the town tend to visit the bars and restaurants while those wanting more nightlife tend to head for Fuengirola and Malaga for the night. Alhaurin el Grande has numerous restaurants and cafes that offer a diverse choice of food on the menu to both foreign visitors and locals. While the town’s tapas are a natural favorite to enjoy a relaxed meal, you can also indulge in seafood and lots of rice which are both typical of the area. Santiago’s Kitchen (Calle Calvario 38, Tel. +34-951-504-737) – Santiago’s Kitchen offers both indoor and outdoor dining experience to guests who are either regular or first time patrons. When you have the chance to go, be sure to try their popular menu items that include Santiago’s Green Salad; Bengali Fish Goujons; and Pan Seared Scallops, King Prawns & Hake. They also have gluten-free food items. Fonda El Postillon Restaurant (Carretera de Mijas Km 1, A-387, Tel. +34-951-254-520) – Another nice restaurant at Alhaurin el Grande, El Postillon never fails to impress its guests with its warm atmosphere, friendly service and great food. Some of their popular dishes include the French Onion Soup; Filet Mignon with Herb Butter Topping; Hake and Salmon Terrine; and Smoked Salmon & Prawn Salad. Up until this day, Alhaurin el Grande still bears traces of the Neolithic occupation. Prior to that time when the Romans arrived, Sierra de Mijas with its tiny Iberian settlement was already well-established. The village was then known as Lauro Nova. It wasn’t long before Roman villas kept popping up all over the place, the remains of which can still be witnessed in the hills. Its golden age became a bit tarnished when the Visigoths came. Although the town continued to exist, it saw a very sluggish development. When the Moors arrived, they built a fortress on a hilltop and called it “Torres de Fahala.” They also gave it the new name “Alhaurin” (Garden of Allah). What is the typical climate like? Alhaurin el Grande has a sub-tropical Mediterranean climate with the summers being hot and the winters warm. With the mountains providing a natural divide from the sea, it’s no wonder why the heat can climb during summer although the temperature still gives a comfortable feel for the most part. At an average, temperatures in the summer can reach up to 32 degrees Celsius. What are the nearest schools? Moving to Spain could also create a major concern among expat couples who have children but are not quite sure how to continue in providing them with good education. It may be a smart decision to integrate them first into the nation’s education system during the primary stage. However, parents may choose to move them later into the British system in order to gain their GCSE’s and A levels. While there are a couple of small schools in Alhaurin el Grande, you can find most of the state and international schools closer to the coast which makes them easily accessible to the families. Throughout the Costa del Sol, a number of international education programs are sprawled as well as in nearby Torremolinos and Fuengirola. Marbella also has educational and medical facilities which are easily accessed using the southwest road. These are some of the schools you can find in Alhaurin el Grande. Other schools include: IES Fuente Lucena, Colegio Carmen Arévalo, Colegio El Chorro, Colegio Emilia Olivares, Colegio Félix Plaza Ramos, Colegio Jorge Guillén, Colegio Pablo Ruiz Picasso, Colegio Salvador González Cantos. Are there any real estate companies in town? Thinking of moving to Alhaurin el Grande but don’t know where to start? Here are some real estate companies you can find within the area. “The area has stunning views to the mountains & valley down to the coast. The main village in the area Alhaurín el Grande offer schools both Spanish & International, superb health care facilities, bars & restaurants, shopping as well as many great golf courses. Read David’s great interview further down the page where he gives good information about Alhaurín el Grande and its property market. What is the cost or price range for long term rentals in Alhaurin el Grande? Foreigners who are looking for a property in Alhaurin el Grande not only find its location as a convenient point of origin in getting anywhere around Costa del Sol but also thrive in the town’s peace and quiet rural setting. Interestingly, property prices in town remain a bit lower compared to most of the Costa del Sol. If you’re looking for long term rentals available in town, some types of properties that you can find include apartments (between €300 and €400 a month), commercial premises (between €500 and €1,600 a month), farm houses (between €850 and €1,500 a month), and villas (between €850 and €2,800 a month). Thinking of buying? – it is possible to buy a 1-bed apartment in Alhaurin el Grande for around €45,000 to give you a rough guide. Since Alhaurin el Grande is only around 30 minutes away from the coast, you can go to either Fuengirola where you can find a good choice of beaches or Churriana and head straight away to the beaches in Benalmadena or Torremolinos. The best time of the year to go to the beaches is in May when parking is very easy and the beaches not too crowded or at least quite empty. On the way to Fuengirola, you can take the La Cala exit where you can find a very nice family oriented beach. One of the popular beaches is the Cabopino Beach which also boasts a number of lovely restaurants and bars. If you’re interested in buying organic stuff, you should check out the town’s organic market. Once a week, on Saturdays, there is a small street where several stalls are lined up with various organic finds. These include organic bread, flour, cakes, vegetables, fruits and honey. It is definitely worth the trip and something that shouldn’t be missed. There is also another market which is open every Thursday of the week. You can find it at the feria grounds which are adjacent to the Guardia Civil Station. The nearest golf course is the Lauro Golf Course where there is also a lovely hotel, bar and restaurant with many other sporting activities available such as horse riding, paddle tennis, bowls, hiking and mountain biking. For more information on golf or even summer camps you can look at http://www.laurogolf.com. Next nearest is Alhaurín Golf Club. To the south of Alhaurin el Grande lies the popular golfing resort of Mijas with many more golfing opportunities. Are there any shops, supermarkets, expat supermarkets to buy British foods? At Cartama Road in Coin, there is a market which has a food hall where you can find everything from homemade cakes, pies, pastries to a number of international cuisine and British food. Dubbed “Bar Aguamania,” it also has a huge selection of crafts and artisans stalls such as handmade greeting cards and handmade jewelry. Female shoppers can also take advantage of the place’s pamper area where they can have a massage and get a haircut while the males spend their time holding a cup of coffee on one hand and a paper for reading on the other as they enjoy the friendly and relaxing atmosphere. Open between 10am and 2pm, Bar Aguamania in Coin is only a 4 minute-drive away at 75 mph (120 km per hour) of driving. If you drive further away going to A356 Velez-Malaga Road, you can find a vast country farmers market that has more than 80 stalls. It’s like a banqueting hall that also offers ample parking space for its customers. Dubbed “Los Jardines del Trapiche,” this market is open every Tuesday between 10a.m. and 2p.m. and is only 35 minutes away. La Trocha Centro Comercial (Carretera Coin-Cartama, Km 1, 29100 Coin, Malaga, Tel. +34-952-452-350) – This modern shopping center is found on the outskirts of Coin and boasts a number of shops, restaurants, cafes and bars. On Sundays, the covered carpark area is transformed into a La Trocha indoor market where customers can find fruits, vegetables, plants, clothes and more. La Cañada Shopping & Cinema Center (Carretera Ojen, Corner of A7 Motorway, Centro Comercial La Canada, 29600, Marbella, Tel. +34-952-860-142) – Approximately 34 minutes away by car through the A-355 route, La Cañada is the largest shopping center on the Costa del Sol. Its 2 floors house more than a huge variety of 150 stores which include fashion and clothing stores and food, fitness & leisure. Miramar Shopping & Cinema Center (Avda. de la Encarnacion, s/n, 29640, Fuengirola, Tel. +34-952-198-195) – Only 10 minutes away from Alhaurin el Grande, this shopping center has three levels and started its operations in 2004. You can find a huge selection of international clothes shops on the ground floor while the upper floor is used as a food hall. Some of the popular restaurants you can find include Dunkin Donuts, Subway, KFC, Burger King and other American style diners as well as a selection of Spanish-serving outlets. Where is the nearest hospital, medical center or pharmacy? When you are staying at Alhaurin el Grande it is important to know where you can find the nearest hospital, medical center or pharmacy which can come in handy in time of illness. The nearest hospital is Hospital Virgen de la Victoria (“El Clínico”) in Málaga. The nearest pharmacy is Farmacia Camino de Malaga – Ctra. Malaga, 105, 29120 Alhaurin el Grande, Tel. +34-952-490-034, open from 9 a.m. to 10 p.m. (Monday to Friday), 9 a.m. to 9 p.m. (Saturday), and closed on Sundays. What are the local fiestas (festivals)? Just like a typical Spanish town, Alhaurin el Grande is also known for its local fiestas or festivals which are always well attended every year. These include the “Fiesta de la Cachorreña” (mid May); “Feria de Mayo” (five-day May Festival celebrated in the last week of the month); “Fiesta de San Antón” (January 17th); “Our Lady of Grace” (August) and “Alhaurin Flamenco Night” (July). One particular celebration that the town is known for is the so-called “May Cross” celebration. While the party goes on for a number of days, the main celebration or highlight is on the third of May. On this day, the party begins at nine in the morning and then it continues throughout the day. It then ends late at night and is signaled by a massive fireworks display. Need a Cleaner or Housekeeper? Business Name: Queen cleaning alhaurin+ areas near!! Towns or Areas Covered: Any areas in and alhaurin el grande. Queen cleaning. Cleaning to perfection, getting to places you wouldnt even think of. Leaving your home sparkling and clean so you dont have to lift a finger.. Enjoy life in a freshly cleaned home/business. If you have a big or small job i can do them all with the help of my amazing team we can achieve every task thrown are way. Is there a tourist office? The tourist office or “Oficina De Turismo” can be found at Calle Sebastian, S/N. Alhaurin el Grande, 29120, Malaga with its telephone number +34-952-595-599. David, what would you say would be the advantages to living in Alhaurin el Grande compared to other Costa del Sol towns? Alhaurin el Grande offers the best of Spanish living but is only 25 minutes to Malaga airport. The village remains typically Spanish with lots of tapas bars and restaurants serving local produce for people wanting just a holiday home. For people wanting a permanent move to Spain the health care facilities and schooling are superb. No not at all. The village and area offer so many possibilities that whatever your needs/ requirements are you can find them here. From looking for a secluded country house to a penthouse apartment on a golf course. From a holiday home for long weekends to a permanent home we can find that perfect property. This depends on whether you are in the hustle and bustle of the villages where as much as 95 percent of the property is owned by the locals to the countryside where as much as 50 percent of the property is owned by foreigners. I think it’s so important for people to know that everything that they enjoy doing in your own country is available to do here. The main difference is that you do it in the sun and probably at less cost. I play golf, tennis, go to the gym, cook great food, swim in my pool, go to the cinema and from time to time do some work! We have so many great places to eat so I will give you a couple but believe me there are many, many more Santiago’s Kitchen offers high end european cuisine in a beautiful location in the village. Bar Sardina is owned by a local family and offers great local produce. Monda castle is the place for cava and views. All of the local ventas (restaurants) offer a menu del dia (daily menu) for 7-8 euros this is a 3 course lunch with a half bottle of wine! All of your heath requirements are taken care of in your language of choice. All of the local villages have modern health centres and we are only 20 minutes from the University hospital in Malaga. Shopping is a pleasure here with so many small independent shops in the villages and large shopping centres only 20 minutes away where you will find all the large multiple shops, cinemas and restaurants and never forget Malaga city with all of its history, museums and the new port. Monda and Guaro are the type of blink and you miss them type of villages but if you stop your car, both offer great places to eat and slow walks down cobbled streets. Because of our central location we have many options for International schools. All offer a great education. We know this as many of our buyers become friends and tell us about their children’s education. The closest to us here in Alhaurin el Grande are Sunland International and St. Anthony. This question always saddens me as it is always a question asked by people in the UK. I suppose it’s because this is an issue we just don’t have and is just not a thing we spend time thinking about. Simple answer then is no! We have never had a slow period in selling property. People tend to move here for a lifestyle choice. To protect the countryside building has been banned since 2003 so no new property has been made available, just re sales. Because of this, property prices are quite consistent. The problem is the lack of property available on the market. No! It has always been the case that people who bought here paid cash so not many repossessions. Due to the lack of property, prices are stable and owner do not need to sell cheaply. We don’t really have urbanisations as people would recognise them. We have clusters of property set in the countryside with incredible views usually 5 minutes’ drive from a village. The closest thing we have to an urbanisation would be the 2 golf courses of Lauro Golf and Alhaurin Golf, both set in the stunning countryside where every property offers views to the mountains. How much are typical property prices in Alhaurin el Grande for apartments, villas etc? Apartment 90-150,000 euros. Townhouse 90-200,000 euros. Villas with pools from 220,000 euros and country houses/fincas with lots of land, pools and fruit trees from 175,000 euros. Any tips and advice to people looking to buy in Alhaurin el Grande or surrounding area? Find one good local agency. Ask lots of questions. Before choosing a property make sure the area offers everything for you and your family but remember as no new property is being built when you find your dream home be ready to move on it! David thank you so much for taking the time to help our readers with your experiences in Spain. If you want to contact him, you can find his details below. I’ve been working on a blog about moving to and living in Spain. I’ve lived just outside el Grande since October 2015. In the ‘How to get to section’, you’ve not mentioned the fabulous direct road into el Grande the A404. This road is linked to the main coast road E15/A7 so getting here from the airport is even easier. The A404 serves Churriana, de la Torre, el Grande and Coin. My husband and I love living here. We’d always holidayed on the coast near La Cala de Mijas, a lovely village but coming inland, we found a better sized property and got significantly more property for our money than we would have done buying on the coast. It’s also quieter with less tourists in the height of the summer so getting around is really easy. But it still means that if you want the sea, its only 30 minutes away. We love el Grande as everything we need is here including several supermarkets and a fabulous greengrocer’s called El Paraiso – the fruit and veg is amazing; really fresh and delicious and the variety has to be seen to be believed! Our bank and lawyers are in the town and the medical centre is easy to access if need be; they have a couple of doctors who speak English. Dentists are plentiful but all are private. I’d highly recommend buying a property here for all the reasons stated above.